Few experiences can be as cathartic as a day spent fishing on the river. Life’s nagging problems can safely be left on the bank, leaving us with a time for relaxation, reflection, and the appreciation of the natural wonders hidden in our busy world. What it took me a while to realize, however, was that the purity of the experience lends itself to exposure to some of life’s most important lessons. Perhaps if we were more willing to open ourselves to the teachings of trout, far fewer problems would be waiting for us when we get back to shore. 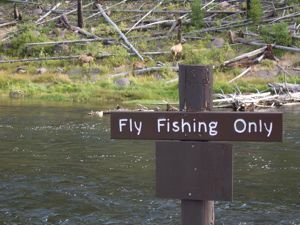 This is an often overlooked and simple solution to most of life’s problems, and fishing requires it in healthy doses. Whether fishing entirely new water or familiar settings under different conditions, an angler cannot give up easily if he is to succeed. So many things today come packaged with an expectation of ease. My generation especially seems to have largely forgotten that not everything in life will be given to us when we need it. The refusal to submit to finicky fish or poor conditions can turn a miserable day of fishing to a good day of catching. An extreme example is the angler who continues to fish through buffeting winds and driving rain. One wonders what things would be like if that person approached all of life’s problems with a similar veracity. It may seem like an obvious lesson, but it is doubtful many fishermen really practice it like they need to. How many out there have ever refused to switch from the fly that was working yesterday, or move from the hole you caught fish in at this time last summer? If you claim to have not ever done this, you are lying, and your untruths have no place in the honest sport of fishing. But whether it is due to the fear of an unknown take on a problem or simple laziness derived from the reliable comfort of occasional success, people become entrenched in their approaches to situations. 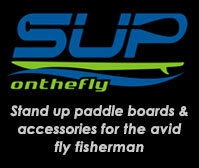 Nowhere is it more apparent than in fly fishing that no approach is universally applicable. If widespread success is to be found anywhere in life, we must be willing to try a range of solutions to any given obstacle. I haven’t met many fishermen who suffer from an excess of humility. Come to think of it, I haven’t met many people like that in general. Very often, however, we are faced with situations in which all our efforts simply can’t get the job done. Trout have brains the size of garbanzo beans, yet every so often we can’t outsmart them. Humans like to think of themselves as apex predators; the smartest and most unbeatable organisms on the planet. What fly fishing shows us is that we are not the kings of every domain. This idea makes many people uncomfortable, so they blame problems on equipment, weather, or any number of external factors. But the plain and simple truth is that sometimes we do everything perfectly and still the fish just flat out beat us. And there is nothing we can do about it, save admit fault and marvel. The most important thing we can do is realize that sometimes we might not have a rung reserved for us at the top of every ladder. Everyone once in a while, things seem to fall in to place. When they do, we are granted a prize for which we should be grateful. Sometimes simply being allowed to see a fish with a trout’s unparalleled natural beauty is enough, but the best thing about fish is that they are a reassuring glimpse of a realm far different than our own. They have managed to survive without so many of them annoyances humans have created, and will continue to do so. Perhaps it is the knowledge that such a world exists that helps us cope with the problems in our world. Whatever solace we take from trout fishing, we should never forget to be grateful for the experience, the fish, and the lessons we take from each. Trevor Pellerite writes to T|N|T from his Upper Michigan home in Marquette — Robert Traver country. He is a senior English major at Northern Michigan University. After he graduates, he would like to become an outdoor writer and fly fishing guide.